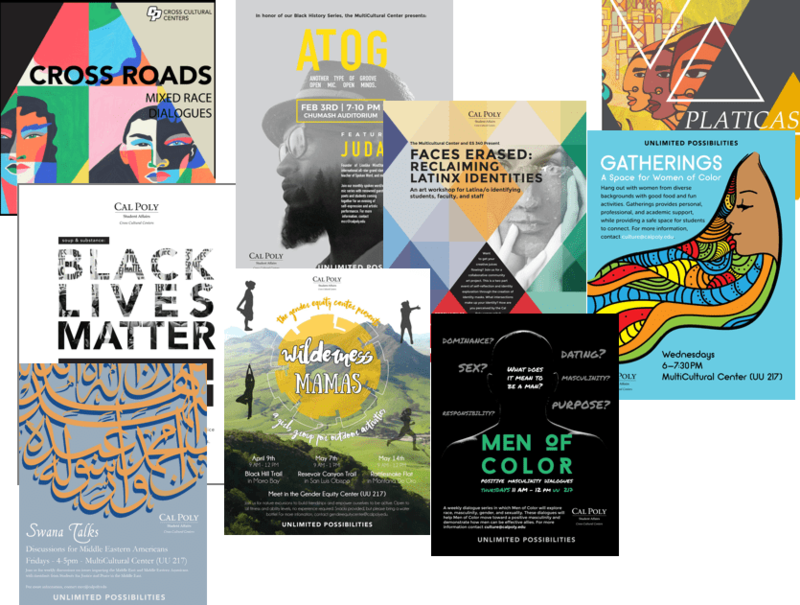 Help create a culturally rich environment by supporting the work of Cal Poly's Cross Cultural Center. Who we are The Cross Cultural Centers plays an active role in creating a culturally rich environment at Cal Poly and within San Luis Obispo, which instills understandings of diversity and inclusive excellence that cannot be separate from learning, teaching, collaboration, trust and community. The Cross Cultural Centers is made up of four centers: Gender Equity Center, Men & Masculinities, MultiCultural Center and the Pride Center. 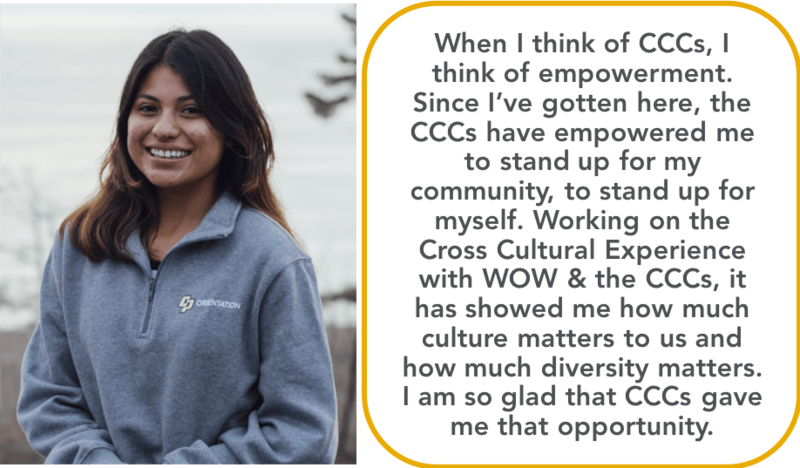 What we do The work led by the Cross Cultural Centers (CCCs) touches every student at Cal Poly and a select number of prospective students. Internships, volunteer opportunities, services and resources are all interconnected but can be understood in the following ways: Basic needs, education, community building and engagement, and Learn by Doing in action. The CCCs serves all students and goes beyond simply supporting underrepresented students. Basic Needs It is simple, as human beings, we would all like to feel a sense of belonging. Increasingly, current research indicate that degree completion and success hinge on students feeling a sense of connection and sense of belonging. Programs in the CCCs aim to create these feelings and work to eliminate instances of isolation and discrimination. Our partnerships across campus also reflect our values and lead to student empowerment. There are many ways to support the Cross Cultural Centers! We always encourage parents and supporters, alumni, faculty and students to volunteer for one of our events. However, we understand that volunteering isn’t always possible. Consider giving to support one of the initiatives and services that lead to student success at Cal Poly and beyond! $25: Help provide better food options for students at events such as dialogues. $50-$200: Support to student organizations who are hosting events that align with forming community and awareness. $100-$400: Help us continue to support students going to conferences to learn about their identity, cultural backgrounds, or how they can make an impact in the world using their passion for diversity and change with what they learn in the classroom. $4,000: Help us continue to support underrepresented and low-income students in experiencing another country through the alternative break program offered by our campus partners.